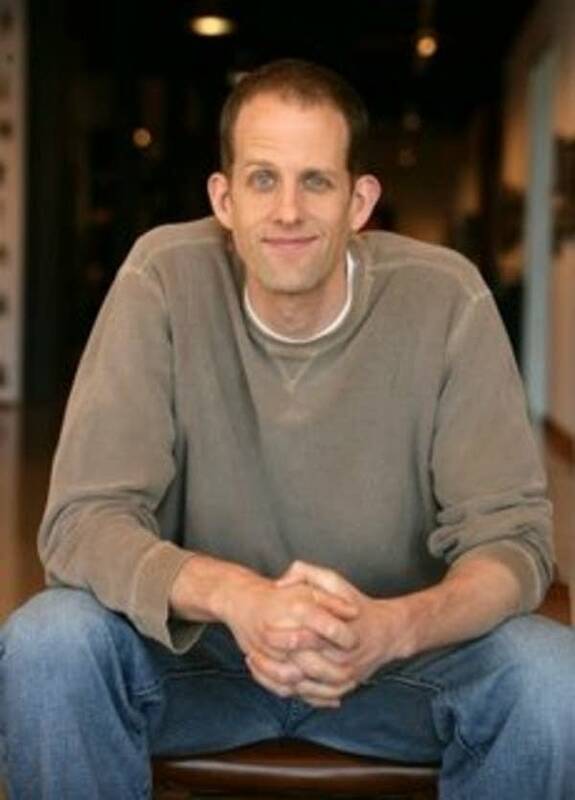 Director Pete Docter claims he made his movie "Up" in part because he is an introvert. "I have a tendency of wanting to just crawl under my desk and stay there," he laughs. "And so the idea of floating away in this floating house we had drawn just seemed very alluring and poetic and all." "Up" is the story of a grumpy septuagenarian called Carl Fredrickson, who decides to finally follow his dreams. 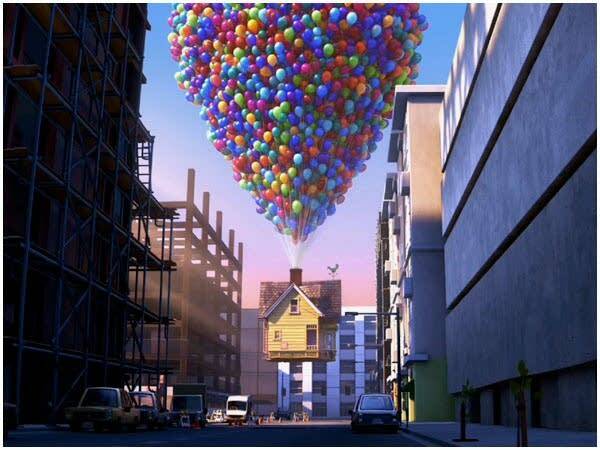 But rather than jump in the car or take a plane, he attaches thousands of balloons to his house and floats away. "So long boys!" he calls to some men below. "I'll send you a postcard from Paradise Falls!" Docter said the entire plot grew out of the image of the old man and his airborne home. "Just answering the questions of 'where is he going in the floating house? And 'how did he get there?' That's what led us to our story," Docter said. Which sounds very simple, but you have to remember that this is a Pixar production. It's a company which takes pride in its extreme attention to detail. "Just as an example," he said, "One of the guys who was dealing with the balloons, one the of the first things he did was to figure out, 'Alright based on an 1,800 square foot house and the weight of that, how many balloons would it actually take to lift a real house?' And he figured it would be 26.5 million balloons, which is of course not anywhere near where we ended in the film." The balloons, and the landscapes in "Up" are spectacular. Pixar animates with computers, but artists create the realistic images. During the movie, Carl heads to a tabletop mountain in South America. To get that scene just right, Pete Docter and his crew took a research road trip to a remote area on the border between Venezuela and Guyana. "It took us about three days of airplane rides, and a jeep and a helicopter and, you know, a massive hike up the side of this mountain," he said. There they sketched and photographed terrain rarely seen by visitors. Pete Docter said the trip was vital for the animators so they could recreate the place in their film. "It'd be almost like trying to draw a caricature of someone having never met them, you know," he said. "You really need to absorb the essence of the place before you are able to capture it and caricature it." "Up" is Pixar's first 3-D film. But Docter said he wanted to make sure the story came first. "It's not like you are watching a 3-D movie about an old man," he said. "It's a movie about an old man which happens to be in 3-D."
They came up with a story involving Carl, an unwitting kid stowaway called Russell, a mysterious lost valley and a missing explorer. "Up" works on many levels, blending adult ideas about the heartaches of old age and ambition, with kid-friendly slapstick comedy and mysterious animals, both exotic and domestic. Docter is a Pixar veteran. He was just the third animator the company hired in its early days. He directed "Monsters Inc" and wrote "Wall-E." However, he said he launched his animating career as a Minnesota highschooler. "I worked at a place called Bajus-Jones which was in Edina," he said. "And these guys started me there with this amazing opportunity of just using the equipment, talking to the animators there and I got to do my own stuff. And perhaps that's why, despite all the talking animals and exotic locales, Pete Docter said he believes "Up" and Carl Fredrickson are Midwestern through and through. "We decided we wanted the feel of that small town of the Midwest," he said." "And although it is completely preposterous that he would be able to fly his house from Minnesota to South America in a day, we sort of took that liberty and tried to make it a little more of that Midwestern feel. When asked what he'll do next, Pete Docter said he's not sure, other than after 5 years working on "Up" he'd like to take a rest.